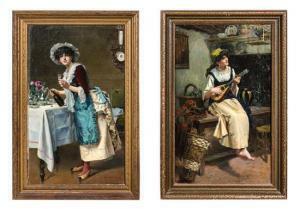 Find artworks, auction results, sale prices and pictures of R. V. Meunier at auctions worldwide. First: 21 3/4 x 13 1/4 inches. 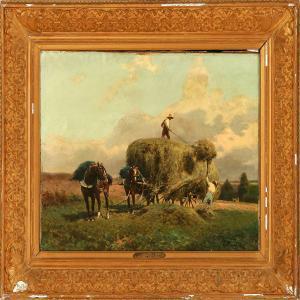 R. V. Meunier: Two grooms stack grasson a horse carriage. Signed R. V. Meunier. Oil on canvas. 51 x 69cm. 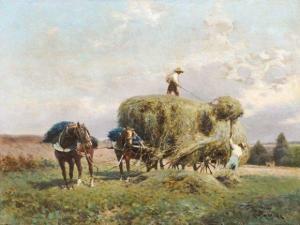 Two grooms stack grass on a horse carriage. 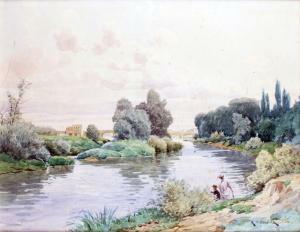 Signed R. V.Meunier. Oil on canvas. 51 x 69 cm.